Commercial improvements can boost profit margins, improve employee retention, reduce the chances of work-related accidents and reduce a business's carbon footprint. 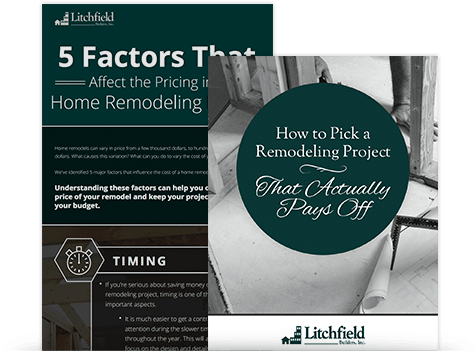 Many commercial property owners take on remodeling and construction projects over time as they invest in their business and grow their client base. During any project there are many moving parts that can affect one another. All parties involved must stay organized and work together to ensure that the project goes well. Perhaps one of the most important working relationships is the one between the contractor and architect. Both parties can play an essential role in the development and implementation of a commercial building or remodeling project. Sustainable building practices have become popular in the last several decades. As consumers become more aware of the ways that their actions affect the world around them, they have turned to eco-friendly building materials and energy efficient appliances to reduce their environmental impact. International Building Code, or IBC, requires that all buildings and structures be classified under specific categories. These building classification types affect the building and fire code enforcement, and by doing so, influence the structure and design of the building. While the owner of the building can provide input on the structure, the building's designated category influences the building's size, number of exits, routes toward exits and other variables. In any commercial construction project, architects and contractors must work together to create a fully realized, fully functioning commercial building. Communication, cooperation and professionalism from both parties is necessary to ensure that the building project is a success. Establishing a precedent from the beginning helps pave the way for a healthy working relationship. Commercial construction costs can span a huge range, based on the needs of the property owner and the specifics of the project. Some construction projects are very expensive, while others can be completed on a budget. Commercial property owners who are concerned about the cost of their project can do many things to reduce their commercial construction costs.